NBA Basketball and Dog Training | Train Positive Dog! It’s your turn on the line at a hunt test, or obedience trial. You have been training months for this event, and feel well prepared. 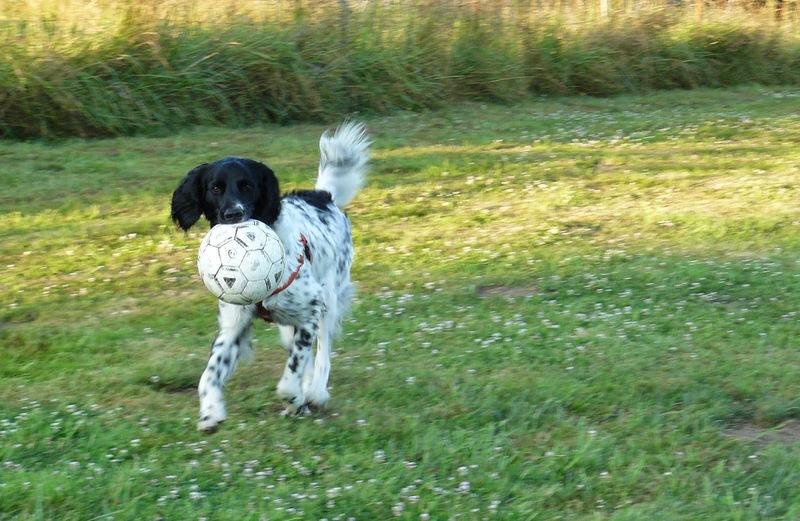 The bird or dumbbell is thrown, you send your dog out to retrieve and . . . he fails to complete the retrieve. What happened? Doesn’t your dog know how to retrieve? This situation reminds me of Tuesday night’s basketball game when my team, the Portland Trail Blazers, lost to the San Antonio Spurs 116-92. 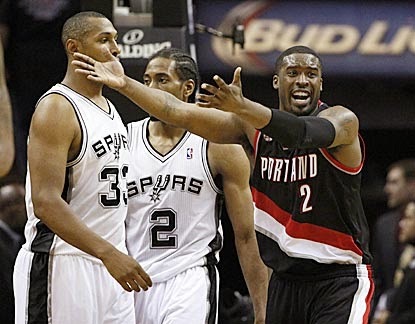 The Blazers only completed 37.8% of their attempts to score; the Spurs completed 50.6% of their attempts. What happened? Don’t the Trail Blazers know how to shoot baskets? Of course the Blazers know how to shoot baskets, but they were on the road at the opening game of the second round of the playoffs, and the level of stress and distraction were certainly higher than during most of the season. It seems likely that the environment affected their ability to perform a basic skill – putting the ball through the hoop. In a similar way, you and your dog need to be “prepared for the playoffs” if you are going to expect your dog to perform in a novel, distracting environment at whatever sport you engage in. Set yourself up for success – train your cues to a high level of performance in a low distraction environment and gradually add distractions, building a big history of positive reinforcement for correct responses to cues. Eventually, simulate the test, trial, or field situation as much as possible. Be over-prepared before you think about entering an event. Learn how to read your dog’s body language, so you can tell if he is distracted or stressed. Learn how to help your dog relax and focus – these are skills that you can train. And don’t forget about yourself – there are many ways to work on your mental game so that you can do your best in a stressful situation. The Trail Blazers can work on mentally and physically reducing their level of stress, and practice shooting the ball in stressful environments. And know that their fans believe that they can succeed. GO BLAZERS!!! I have a concern though. How do you work with a younger dog? I use positive reinforcement to increase the behavior I want, put that behavior on cue, and reinforce the response to the cue to the level of distance and distraction that I want. I make it easy for the dog to succeed in training sessions, and gradually increase difficulty, building up a large history of reinforcement for the response that I want. To start with, I am going to be working with my dog indoors, very close to me, with no distractions around, and in short sessions.